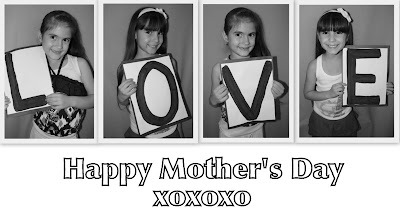 Google+ Mom to 2 Posh Lil Divas: A NOT So PERFECT Mom....ME! A NOT So PERFECT Mom....ME! Amidst all the cards, homemade gifts and school tea parties for Mother's Day I can't help but reflect on it..... MOTHERHOOD. I yell more than I care to admit. I get frustrated, cranky and tired. I definitely don't have it all together. Our meals are not always nutritious. My house isn't always neat and tidy. because I'm behind on laundry. I say "no" to things the Lil Divas want. Sometimes, I say "maybe later" to things they want me to do. and even more importantly - takes away from their time with me. But, I love my girls so much more than I ever thought humanly possible. I work hard everyday to be a good Mom to them. and to work hard for what they want. I hope I inspire them to dream. I hope that they grow up feeling special & important. and looking forward to the quiet that bedtime brings. I do my best each day. since I became a Mom. I have been surprised by what I am capable of. and more compassionate version of myself. Every day of motherhood brings its own adventure. to try to be the best Mom I can be. I know I am just right for them. do more or want more for them than me. PS - The photo above is what we made the grandma's for Mother's Day! Cuteness right? I LOVE how it turned out! Need to make one for me. Thank you Ali. Happy Mother's Day to you as well. Happy Mother's Day! What a sweet post for them to read when they are older. Thank you so much. Hope you had a wonderful Mother's Day!